If someone had told me I'd have an extra 2 1/2 days this week to myself, I could have listed 50+ things that I could have done! Including finally getting into a flow with scheduled blog posts. Truth is that I've been knocked for six by this damn throat infection/virus thing, I've still got it and don't feel 100% but I'm certainly feeling better than I did, hoping to get lots of jobs done in the next few days that I've missed. 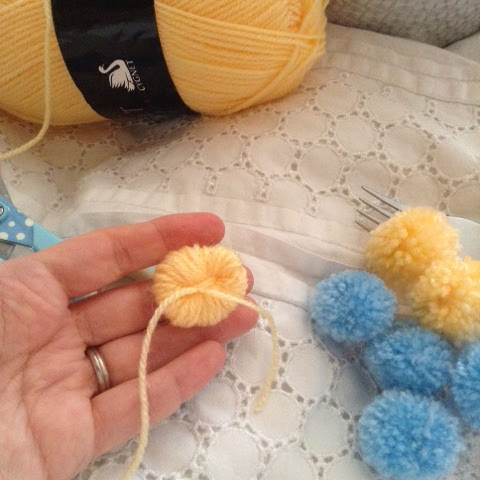 Onto a nice little craft that I started last night, tiny little pom-pom's made with a fork! I've been wanting to do these for sometime, for some reason I thought that they would be a bit fiddly, but they were so simple I had a nice batch of them made in no time. 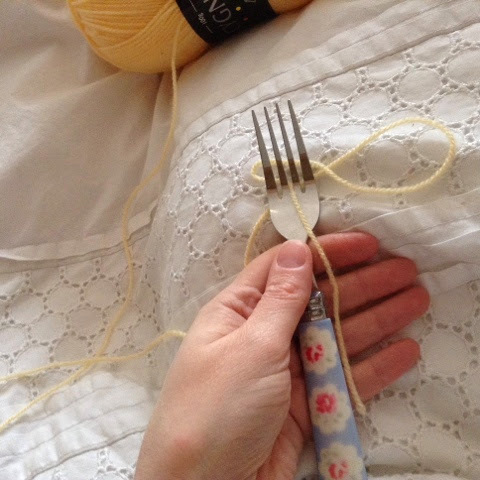 I think the first thing I learned was that the fork you use matters! 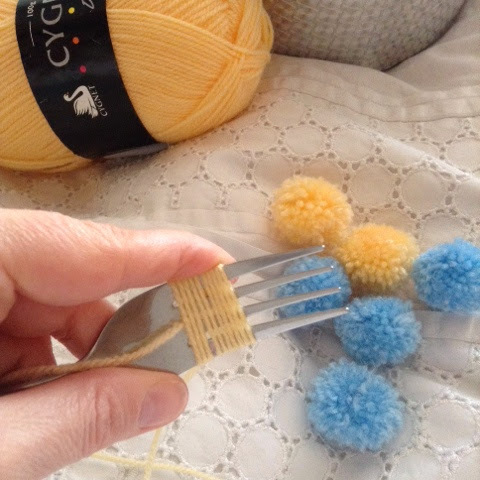 I chose the fork in the middle because they are my favourites, but the next lot I make I'll be trying the fork on the left, I think that the long, straight prongs will lead to a neater pom-pom, I'll try my theory soon and let you know. 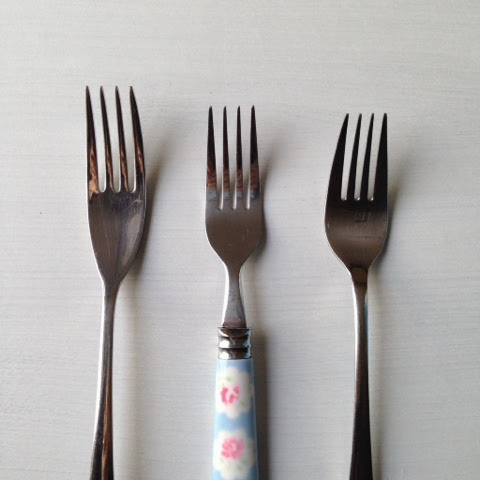 I definitely won't be using the fork on the right because the prongs taper in a bit. 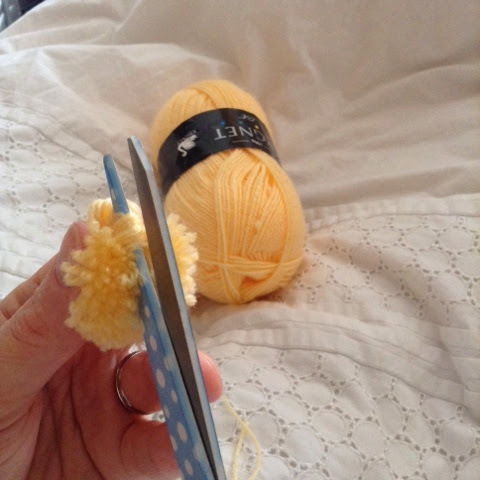 So down to business, pass your wool through the middle gap in your fork prong, leaving a bit of a tail to wrap up the pom-pom later. I wound the wool round this fork 10 times initially, this is because the prongs then start to taper, but I would guess every fork is different! I then continued to wind the wood around the fork, I did it 80 times, that seemed just about right to get a nice plump little pom-pom. Once the wool is wound round as many times as you like, take the tail you started with and feed over the top from the front of the wool as shown below, take the end of the wool you were using to wrap and bring round from the back and poke through the little gap at the bottom, do the same for the tail the other side, pull as tight as possible, you might need to slide the wool up a bit to do this! 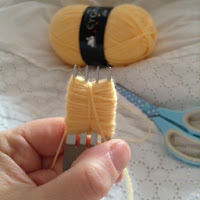 Then gently slide the wool off of the fork, try and keep it nice and flat, then knot once and pull the ends to really tighten the middle, knot again, twice this time to keep nice and secure. Start cutting through the loops, I actually think that a smaller pair of scissors may be better to do this. Once all the loops are cut, give it a roll in your hands (like you do when making a ball with play dough!) 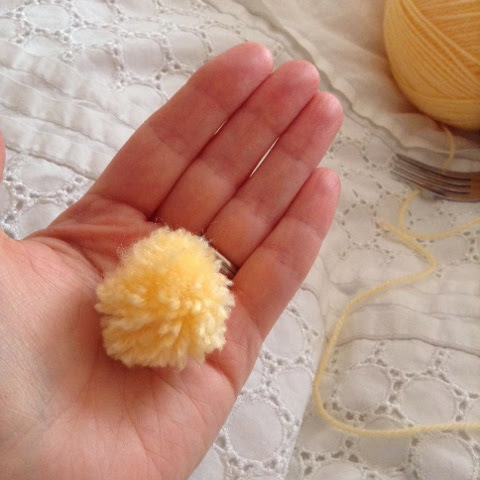 that gives the pom-pom a bit more form. 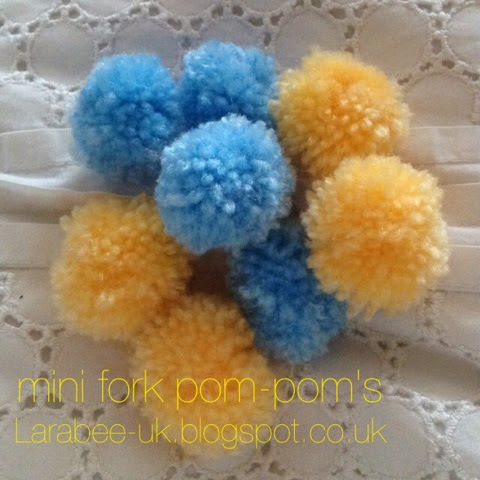 There you go - cute little pom-poms! I'll post soon with what we are using ours for, but first I've got to get some different wool colours, and get the rest made. 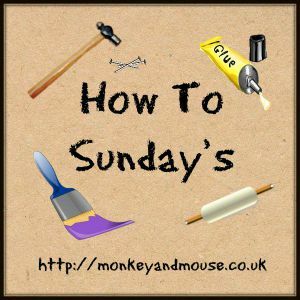 Click here for a link to my easter mantle which shows the pom-pom garland that I made with them. These are so cute! 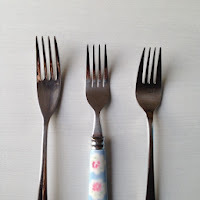 I really need to try this, it wouldn't have occurred to me that the different sized/shaped forks would matter though, thanks for the advice on that, will have to add this on my list of things to do!